Erstwhile Brexit Secretary Dominic Raab told the Conservative Party conference that the experiences of his father, who fled the Nazis aged six, has inspired him to fight anti-Semitism “until my last breath”. Raab, who is a keen amateur boxer, said his father grew up knowing that most of his relatives had been systematically slaughtered for no other reason than that they were Jews. 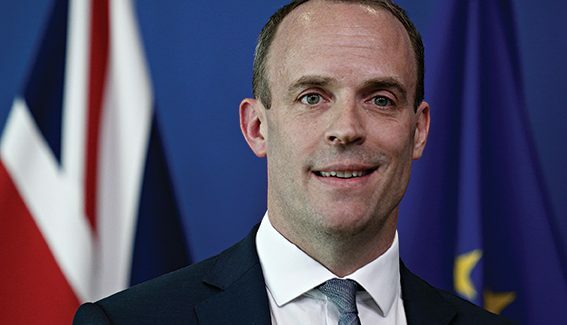 A solicitor by training, Raab worked in Ramallah during the summer of 1998 when he helped the principal Palestinian negotiator on the Oslo Accords, later returning to the UK to work on the Arab-Israeli desk at the Foreign Office.